I recently received the April card kit from Simon Says Stamp and I spent quite a bit of time playing with the items in the kit. 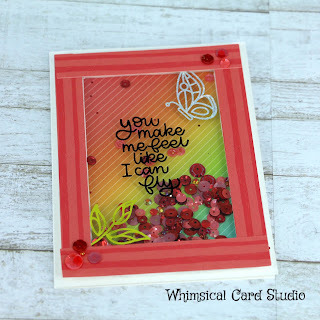 This is a photo heavy post PLUS there's a video to show you a technique I used to create a couple of shaker cards with a few extra items that are not part of the kit. 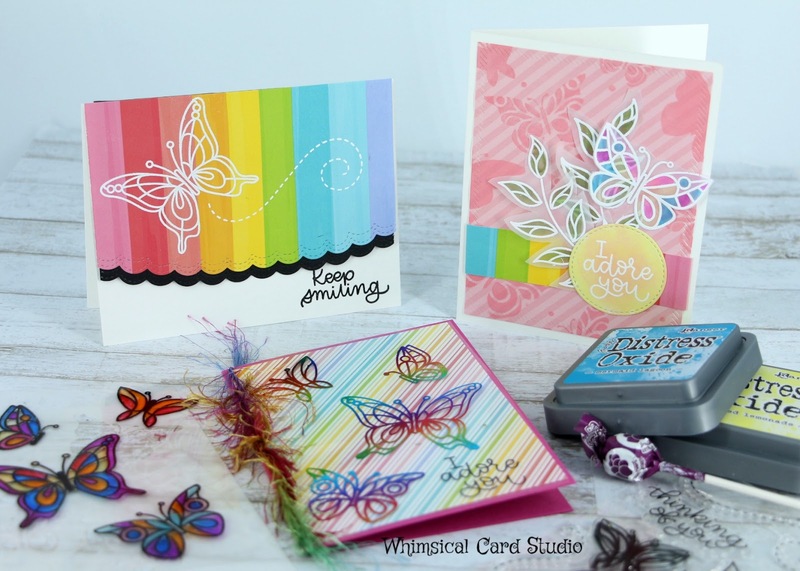 Have you seen the new Thermoweb Clear toner designer sheets? There are patterned ones and one without a pattern to do any type of design you'd like to. 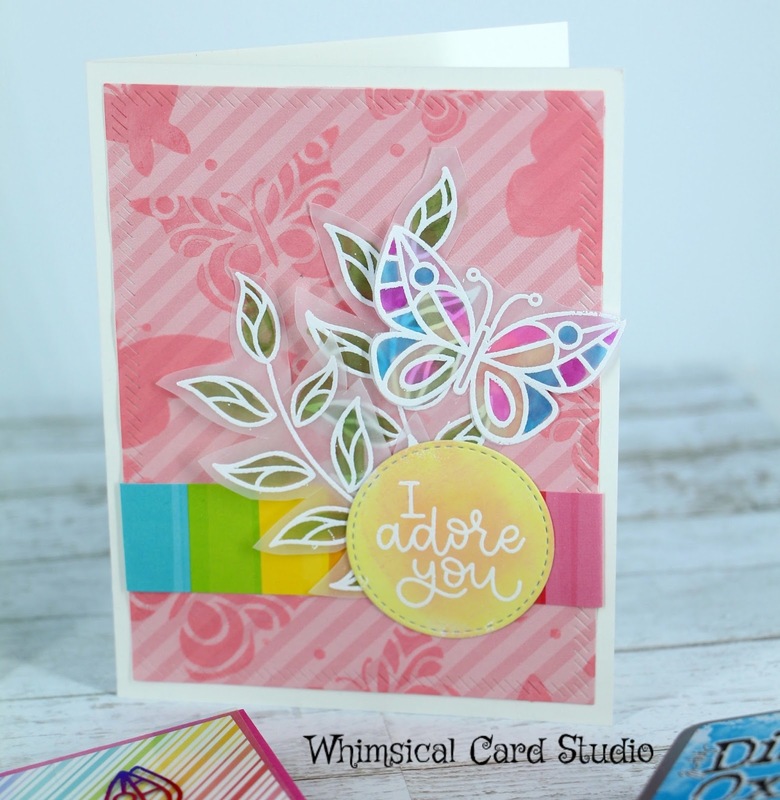 I used stamps from the kit to create some custom toner sheets and can hardly wait for you to see them. I'm always looking for new ideas to create handmade cards. Here are the first 3 projects I completed. 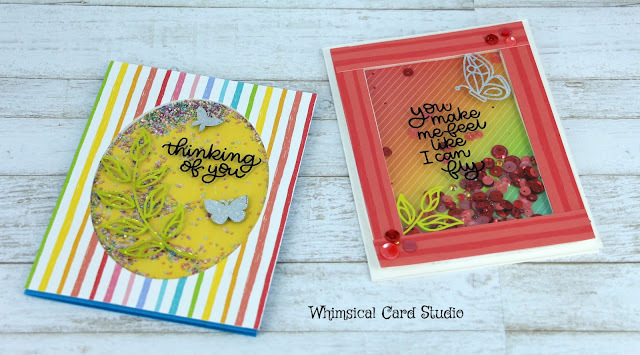 These are the next two I did and the video shows the details on these from start to finish. 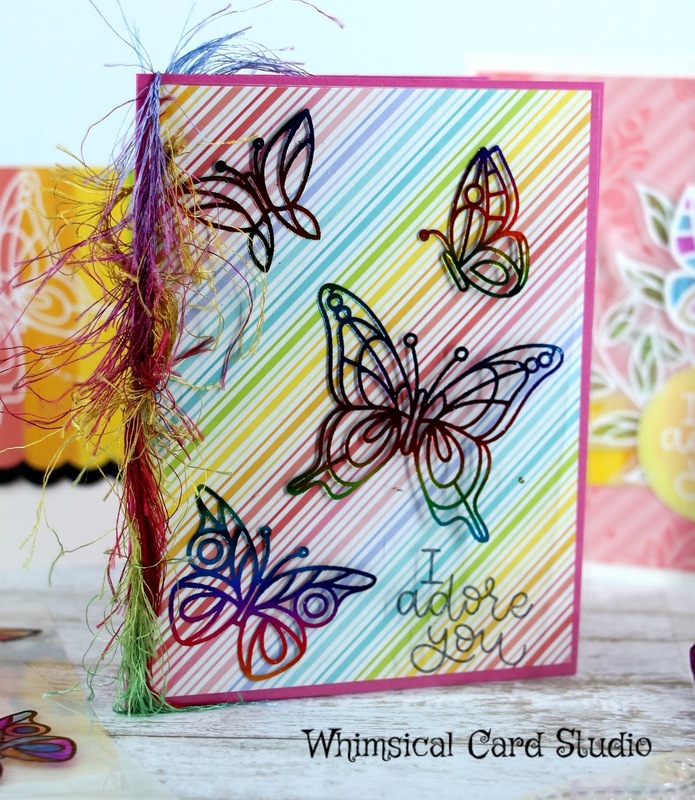 Before the video I wanted to share a version of the designer sheets that were done with black DecoFoil as the outline. 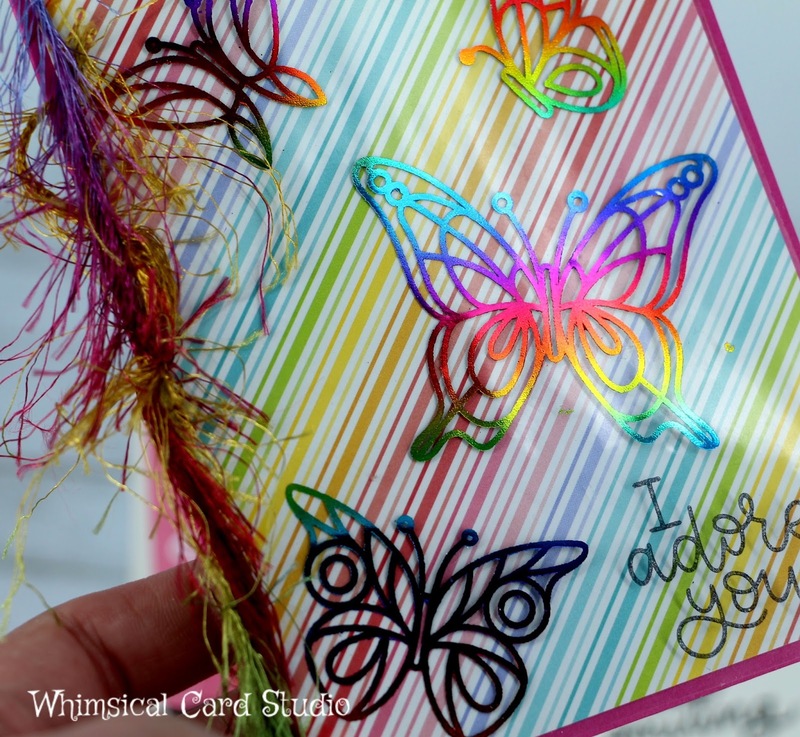 the coloring was done on back of the toner sheets with brightly colored alcohol markers. Any brand of alcohol marker could be used for similar effect. Here's the video showing the technique used on the two photos just above as well as the two shaker cards. 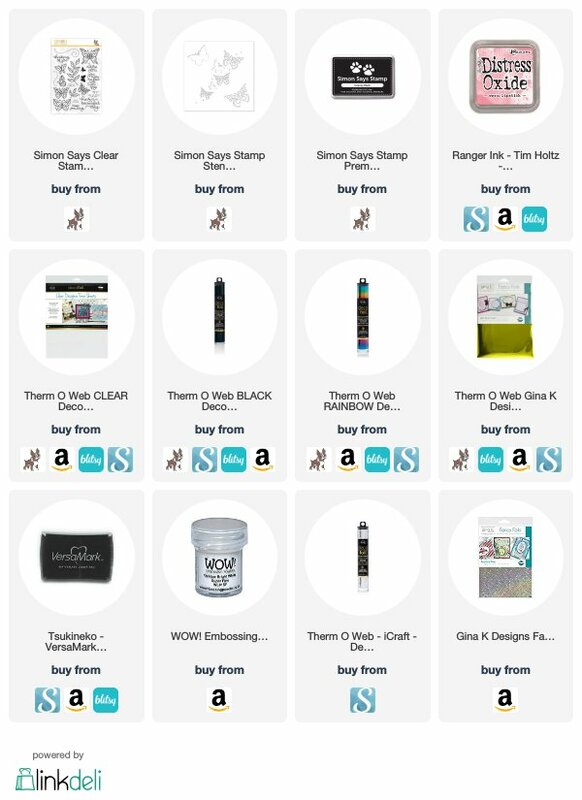 At the bottom of this post I've linked products used. (Note: affiliate links are used, which help support my blog at no additional cost to you - please see my disclosure page for full details on which programs I participate in. All products for this post were personally purchased and opinions expressed are purely my own. 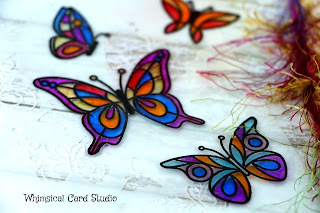 You can apply this same technique with cardstock instead of designer toner sheets if you want to give it a try that way to see how you like the technique. 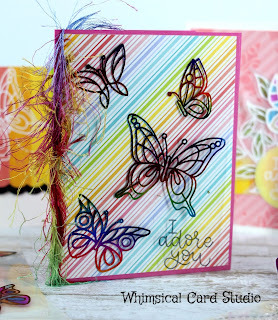 And here (below) is the birthday card I created for the Wednesday challenge at Simon Says Stamp (I used their Circular lace stencil, deco foil gel medium and lapis watercolor foil to create the foiled focal point - the die cut sentiment is from My Favorite Things. Here's a pinball image to save and come back to this later! 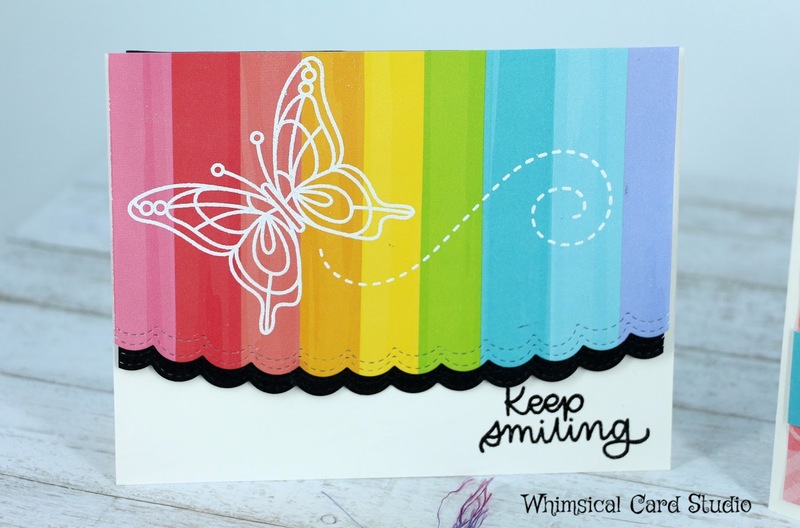 Thank you so much for stopping by today - I would love to know if you think this technique will come in useful to you in your card making or other paper crafting projects. 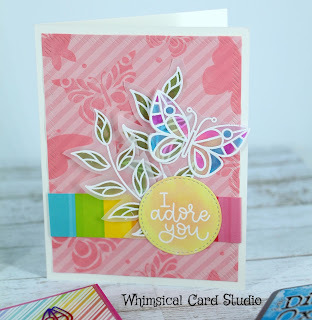 Your cards are all so beautiful and such great designs. Awww Jo how sweet of you! thanks so much - I love playing along with the challenges. Friendship Blog Hop + Giveaway!